Does My Cat Have Enough Space Indoors and Outdoors? Home / Learning Centre / Does My Cat Have Enough Space? Does My Cat Have Enough Space? While we recommend keeping your cat indoors, many people feel that their cat simply doesn’t have the space to be happy inside. Nobody wants a kitty with cabin fever! Fortunately, there are lots of solutions for the concerned cat slave. How much space does my cat actually need? Breed - an active cat like the Siamese will generally demand a lot more space than the sleepy Persian. Consult our ultimate breed list to check on the activity levels of your desired breed. More active breeds will need more space. Personality - your cat’s breed is a decent predictor of personality, but that’s all it is: a predictor. As you’ll have learned, your cat is a unique snowflake, and even the usually energetic Bengal sometimes ends up living a life of Garfield-level lethargy. Age - most kittens are little Energiser bunnies, while older cats may be more content sleeping on your bed, receiving the occasional cuddle and reading (or shredding) the newspaper. Adolescent cats are actually most demanding, as their size and energy can make them a real handful. Relationships - if you have multiple cats, their relationship will determine how much space you need to give. Are they lifelong friends who sleep, play and cuddle together? Great! They’ll be happy sharing territory. Are they sworn enemies, engaged in a Shakespearean blood-feud? Well, you probably have some work to do. Routine - a cat that has spent its entire life in a tiny space with no stress is perfectly happy to continue, whereas an outside cat suddenly restrained indoors may grow restless and depressed. A secure cat enclosure is a terrific compromise for getting your outside cat used to living inside with the family. 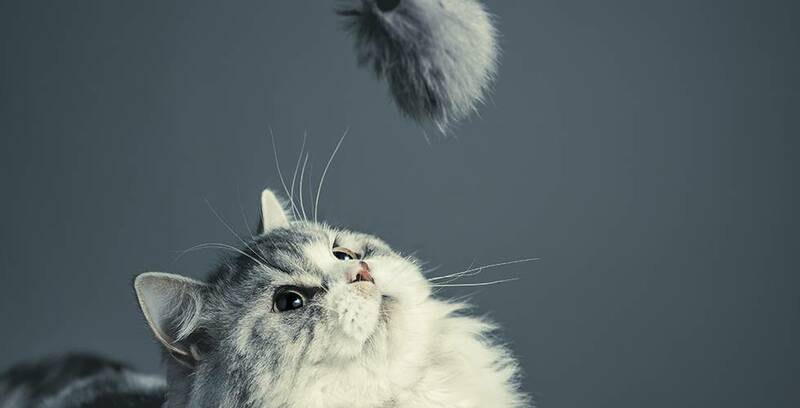 As elusive as they might seem, with some guidance your cat is actually pretty easy to read. If it seems stressed - is overeating, overgrooming, or in constant hiding - a lack of space might be the reason. How do I create more space for my cat? The best way is to do exactly that - provide more space! 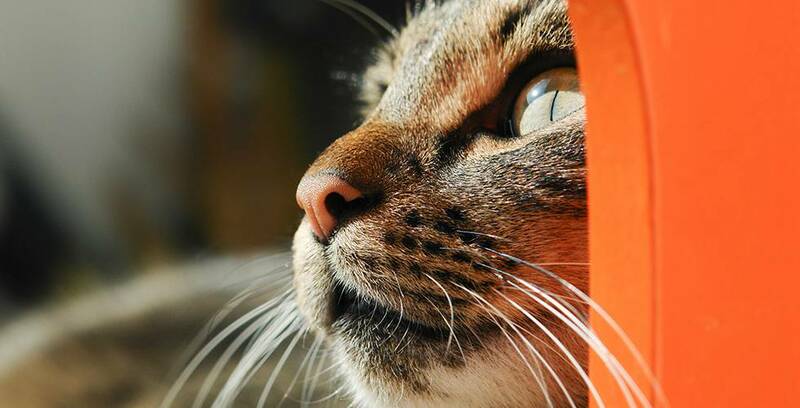 We suggest buying an outdoor cat enclosure to let your cat lounge, play and climb in a secure, private environment. You’ll find your cat enjoys the expanded territory and autonomy an enclosure gives it. Stock it with plenty of toys and treats for bonus paw points. 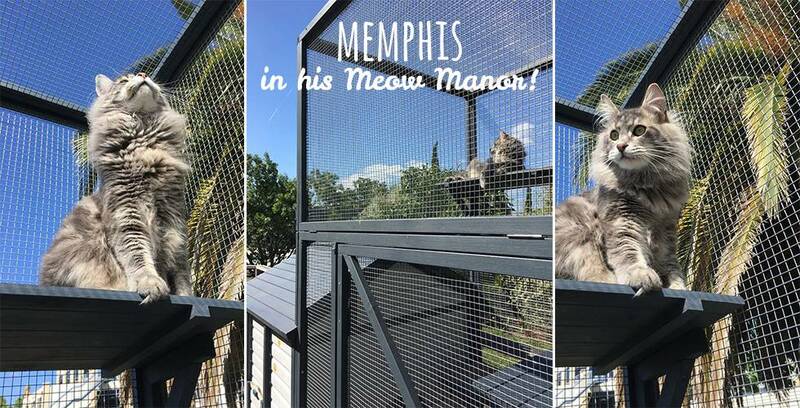 The RSPCA prefers a cat enclosure to free roaming as a wandering cat is exposed to numerous, potentially fatal risks like cars, disease, dogs and people. If, however, an outdoor enclosure is not an option, don’t despair, there are other ways to expand your cat’s territory. The first thing to understand is the difference between ‘real’ space and cat space. Real space is the boring, grey world that we inhabit. Cat space is the magical world our feline friends live in. Although access to cat space is, unfortunately, forbidden to humans, with a little work we cat allies can significantly expand its boundaries. Look up! What do you see? Reach out and touch it, if you like, but don’t get too comfortable. That, ladies and gentlemen, is part cat space. And you can help your cat stake its rightful claim by building plenty of access points. Cat trees, be they free-standing or door-mounted, are an excellent option. Improvised solutions, like shelving and pathways to tall furniture, can also work, provided you give due attention to making them safe for your furry friend. Humans love wide, open spaces. Cats, on the other hand are much more comfortable in smaller spaces, and their territory depends to how easy it is to guard a space, not how large it actually is. No wonder kitty loves that cardboard box! If you have an open living space, consider introducing more hiding spaces for your cat to inhabit - put skirts around the bottom of your bed, for instance, and it instantly becomes as good as a brand new room to your flexible feline overlord. On the flip side, it’s important that your cat has plenty of turning space in its litter box for doing its… business. Cat space extends outside of the real world and into your cat’s imagination. An active, engaged kitty doesn’t really care about your square footage. Make sure your cat has tonnes of toys and plenty of play. Also, all cats scratch, so remember to provide a scratching post before your favourite furniture takes its place. Finally, cats enjoy lounging with a view, as long as there is something interesting going on. Setting up a bed or a blanket near a window goes a long way. If possible, however, you’ll find your cat gets much more pleasure out of an enclosure or run - cat space that it doesn’t have to share with bothersome humans. If you’re interested in purchasing a quality outdoor enclosure, check out our great range here.